Bungalow One is gorgeous, warm, and charming with two bedrooms and one bath. 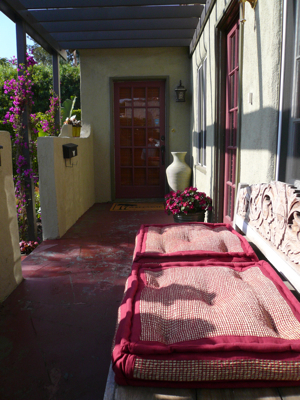 This Los Angeles vacation rental has a large living room, formal dining room and hardwood floors throughout the place. The recently remodeled kitchen features beautiful Spanish tile flooring, granite countertops, and new cabinetry. 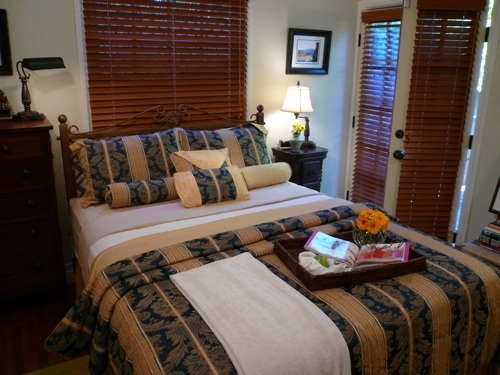 With pillow-top queen-size beds in each bedroom and an additional queen-size convertible, Bungalow One sleeps 4-6 people. 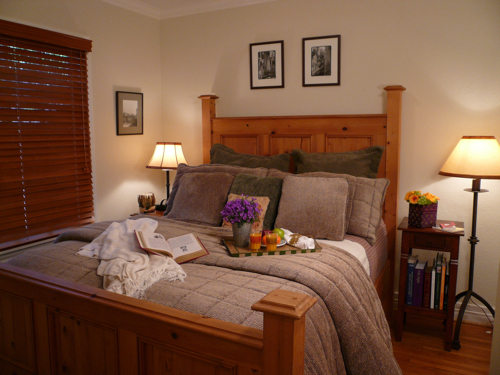 In addition, the master bedroom features French doors that open onto a private deck overlooking a quiet garden.